I don't know what i would have done in that position. Submitted by monkey on Wed, 06/05/2013 - 1:39am. I have a feeling the neighbors have called 911 on this house before. Submitted by monkey on Wed, 06/05/2013 - 1:38am. 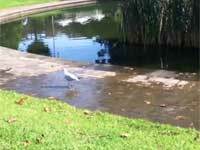 Seagull is spotted having fun tap dancing. Submitted by monkey on Wed, 06/05/2013 - 1:37am. 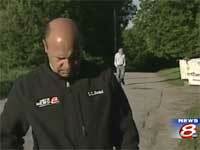 Missing man happens to accidentally stumble upon a local news crew. Submitted by monkey on Wed, 06/05/2013 - 1:35am. 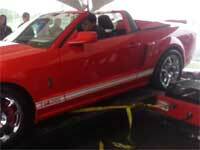 Mustang Shelby GT500 tears up a dyno. Submitted by monkey on Wed, 06/05/2013 - 1:31am. 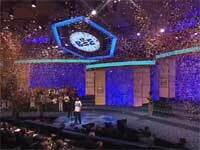 Winning the spelling bee must be really exciting.. Submitted by monkey on Wed, 06/05/2013 - 1:30am. Guy just breaks out laughing at a train stop to see what everyone does. Submitted by monkey on Wed, 06/05/2013 - 1:28am. 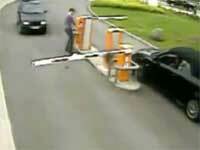 Woman versus a parking lot gate. I wonder who wins.. 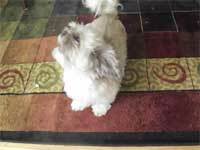 Submitted by monkey on Wed, 05/29/2013 - 3:06am. 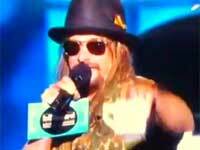 Kid Rock calls out lip syncers at the Billboards Awards Show. Submitted by monkey on Wed, 05/29/2013 - 3:04am. 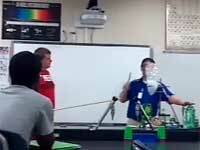 Chemistry teacher accidentally floods the classroom while playing with fire. Submitted by monkey on Wed, 05/29/2013 - 2:59am.